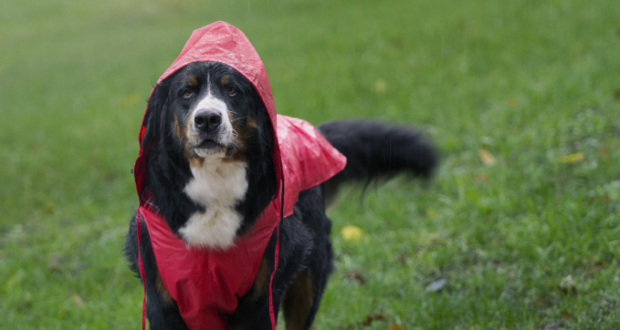 While most dogs can handle a bit of inclement weather, every dog owner should have cold and wet weather gear handy. However, dog gear doesn’t just have to be about utility. Add a bit of sunshine to your dog’s dreary day with a jacket in a bright, singular color (such as a popular yellow or red) or select a puffy winter coat in a funky pattern. It will be sure to put a smile on others faces as they pass your pet by on your morning walk.